- Who likes to see well on track recommend using "mild effects"
- Improvements in drops of wet objects as, gutters, walkways, traffic lights, etc. - melhorias nas gotas de objetos molhados como, calhas, passarelas, semáforos, etc. how to have f1 2012 where that fits this? thanks and sorry by my enlgish,i'm brazilian. 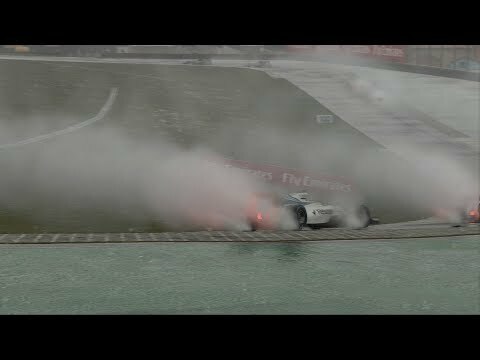 esse mod do video que vc mostrou, é o real weather 1 ou 2, que eu fiz no f1 2010, mas acho o trabalho do 2011 e do 2012 melhor. this mod of the video that you showed is the real weather 1 or 2, which I did in F1 2010, but I think the work of the 2011 and the 2012 best.